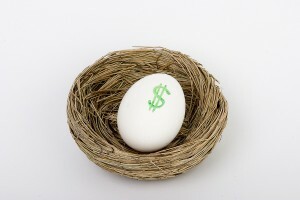 www.investing101.ca: If you must have GICs .. read on. With bond yields so low, many bond fund returns will not grow your savings if the fund's Management Expense Ratio (MER) is high (see earlier post). Holding lower fee alternatives or ETFs and give some nominal net earnings, but puts your principal investment at risk if (or rather when) interest rates go up. To guarantee some net return after fees and guarantee the principal investment, Guaranteed Investment Certificates (GICs) are worth a look and can al least keep pace with inflation to preserve future buying power, assuming they are held in a registered account (RSP, TFSA, RESP). While there are better longer term investments for fixed income if you can handle some ups and downs in the investment value, GICs are reasonable for RESP accounts when your child is in the teen years and redemption will be coming up shortly (if they get off Minecraft and get their homework done that is). For an RRSP or TFSA account, rate shoppers cannot beat Achieva Financial. All your deposits are 100% guaranteed by the Deposit Guarantee Corporation of Manitoba. And since its so cold there, nobody would ever think of going there to steal your money. Even today's 5 year rate is 2.85% which will cover inflation. Promotional rates at ICICI may just edge out Achieva. For an RESP account the choices for GICs is pretty slim. CIBC will give you 1.75% for 60 months and 1.1% for two years (current rates). Better RESP GIC rates are waiting for you at Questrade. The current "bond bulletin" includes GIC rates listed on the last few pages and shows 2.35% for 60 months and 1.95% for two years. These would be purchased from the bond desk and would be through B2B Bank or others. I know that earning less than 2% is nothing to spend time chasing, but if you consider that you are getting a 20% grant on up to a $2500 deposit, its not as hard to swallow. Those searching for the other GICs, we're sorry, here's your link.